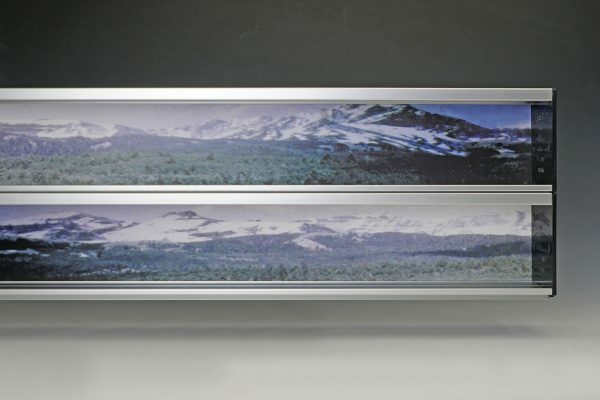 The 3.2″ Series 2000 Display Cases are a great way to enjoy and protect your collectibles. 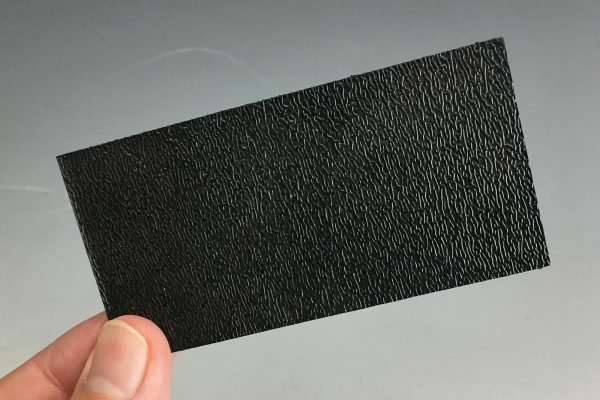 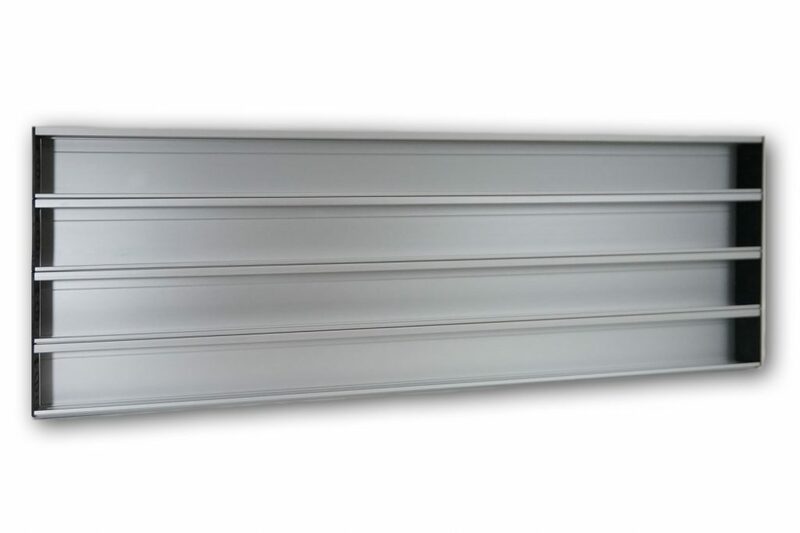 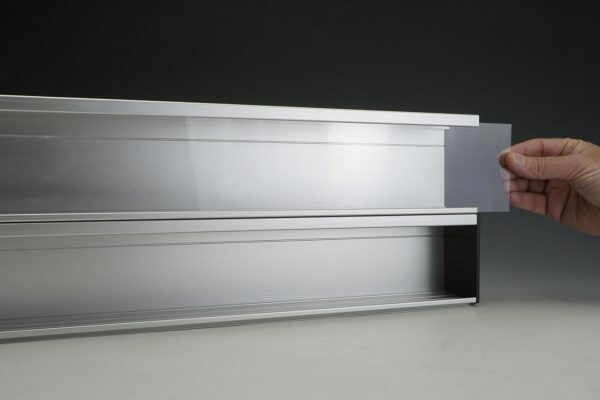 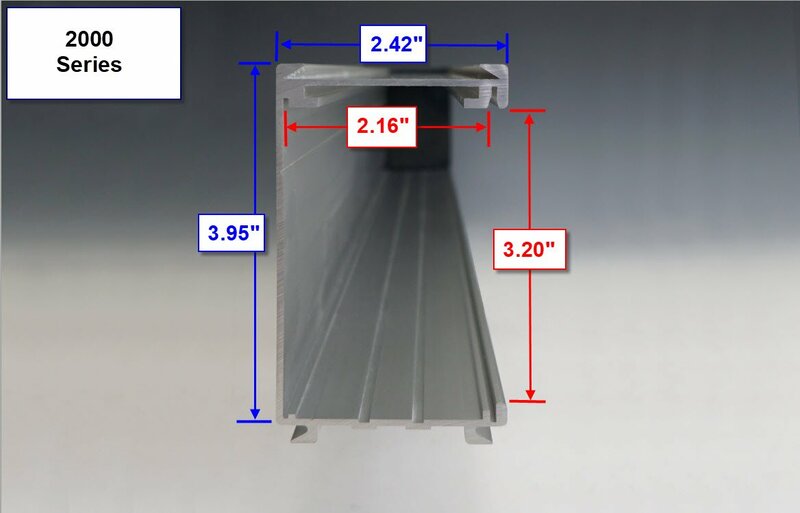 The unique design of the extruded aluminum sections allows unlimited expansion! 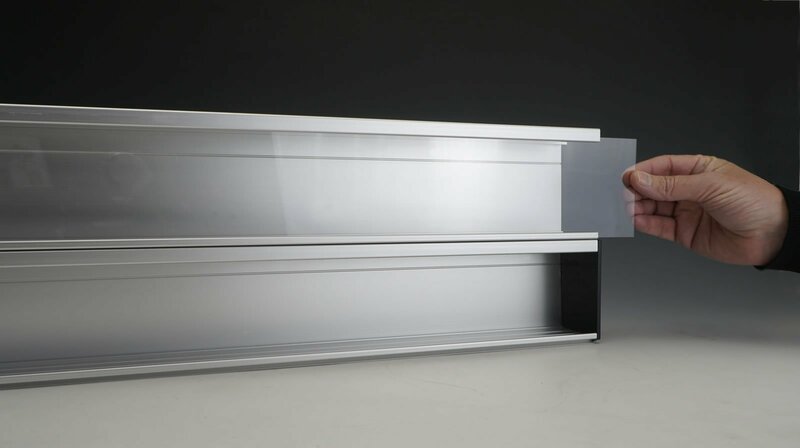 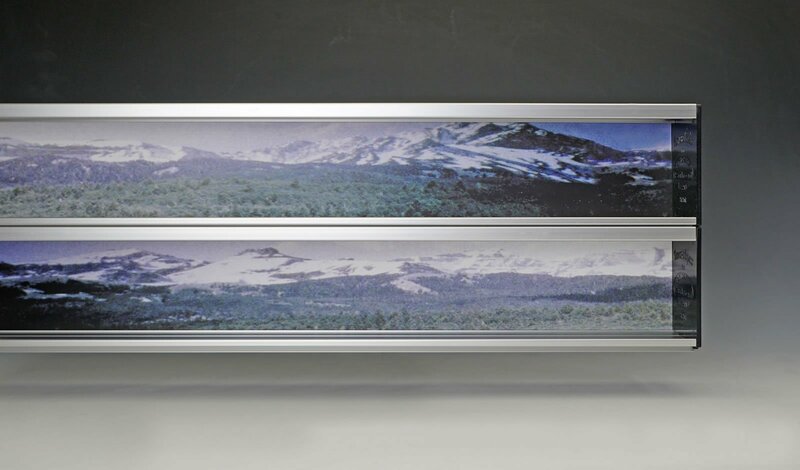 Join the 4 foot Display Case Sections “End to End” to accommodate your consist from “Wall to Wall”. The Showcase Express Custom Display Case system is design to be “easily assembled” in minutes with a minimum use of tools. 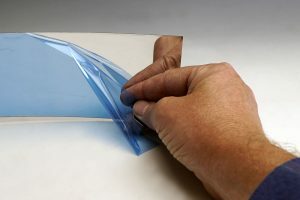 Simply slide together the aluminum sections and fasten to the wall! 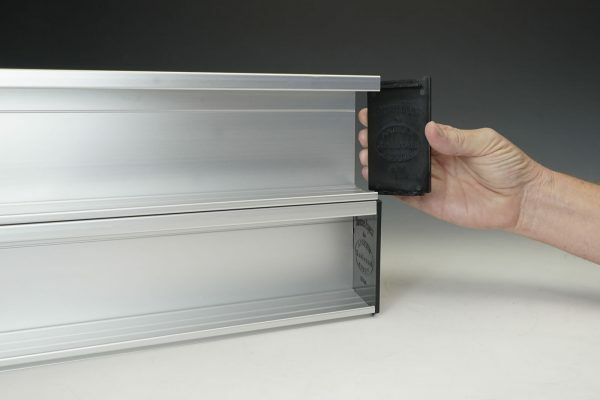 Fill with your treasured collectibles, slide in the dust proof window provided and place on the end caps. 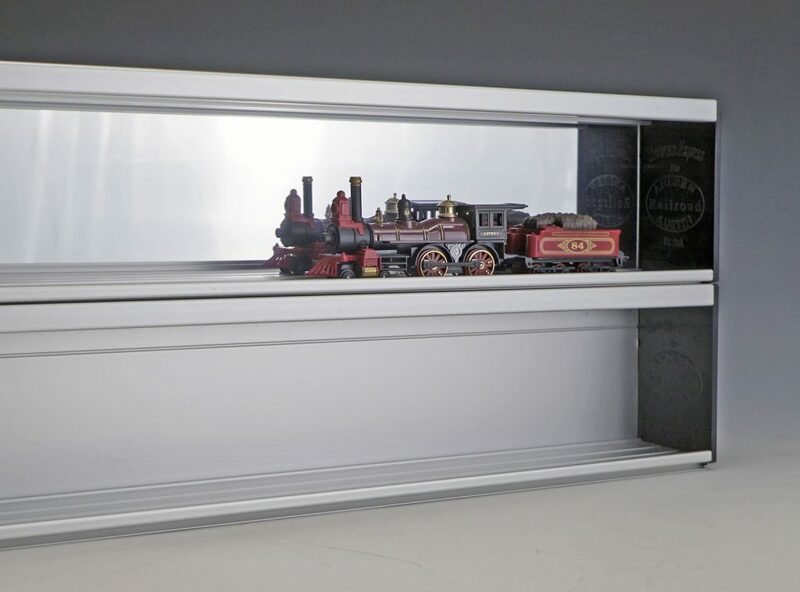 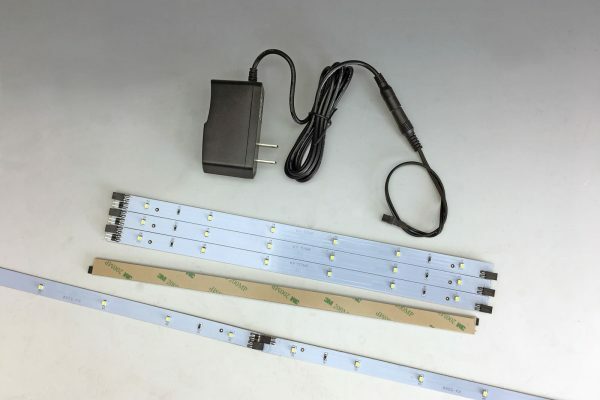 When used with our Display Case Lighting System, the 3.2″ Display Case allows for the museum quality shelf lighting to flow around the trains and illuminate them to perfection.